The tee purge is normally connected between the cylinder and the regulator. The system can be flushed with the purging gas to remove contaminants prior to start-up or after a cylinder change. Available Size (Tube O.D.) 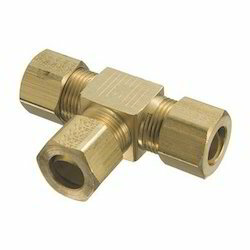 :1/8 x 3/4 ( UNF Thread) 1/8 x 1 ( BSP Thread) 4 mm to 16 mm. 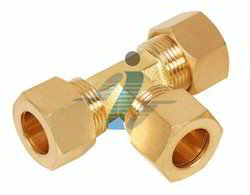 We are highly acclaimed in the industry for manufacturing and supplying an interesting collection of Brass Tee Union Assembly.